We take pleasure to introduce ourselves as one of the renowned manufacturer, trader and supplier of Measuring Wires that are used to effectively check the diameter of thread gauges, taps and any other threaded components. Highly demanded in the market, these Thread Measuring Wires are manufactured by us using quality raw materials and several modern machines. 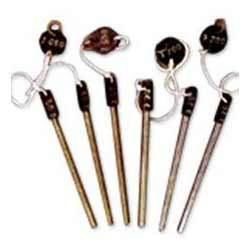 These wires are used for the purpose of measuring the diameter of a number of taps, thread gauges, etc. We provide this product in a number of sizes, as specified by the clients. Further, we provide this product in the market at a very attractive price.